Hi all! It's Deasy here. 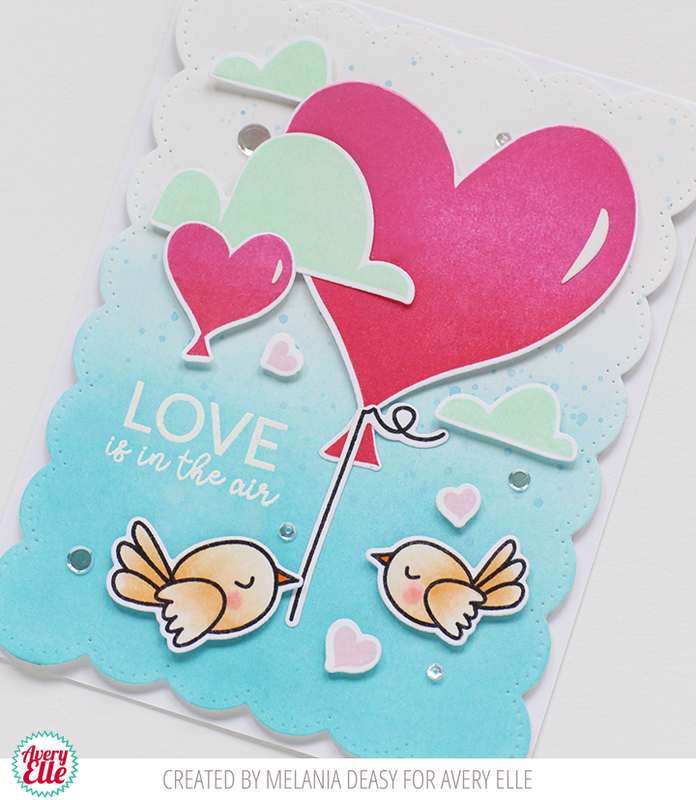 Today I want to share my card for Avery Elle featuring Love Is In The Air stamp set. 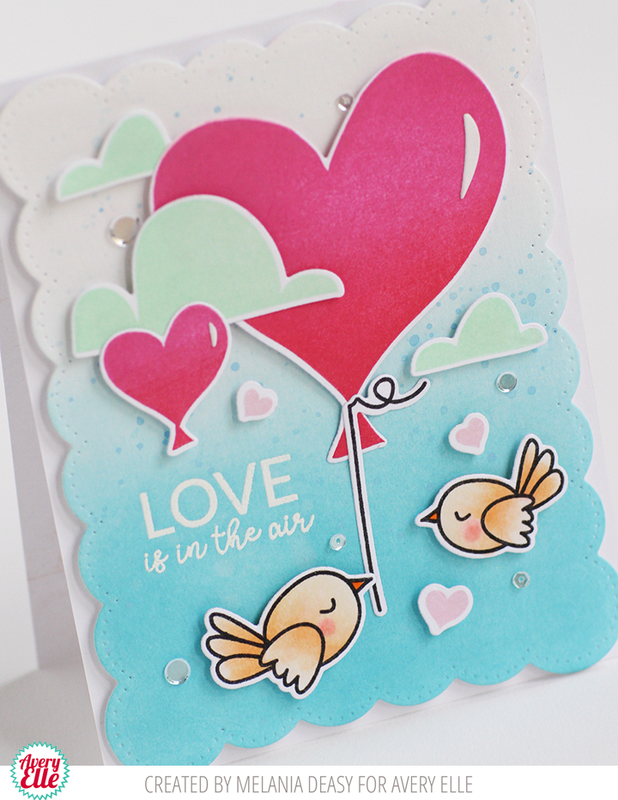 This set is so cute and perfect for Valentine card! I stamp, color the images using copic then die cut it. The sentiment is from white embossing powder. To color the background, I'm using Distress Ink Tumbled Glass with blending tool then splash watercolor with my brush.